Full Service 24 Hour Emergency Locksmith Miami FL. Protecting yourself, your home, your auto, or your business is one of the greatest responsibilities you have to take care of. That is why it is critical that you have a locksmith you can trust to provide you with the best advise on what system is best for you and your needs as well as the skill and knowledge to install, repair and maintain your security system. 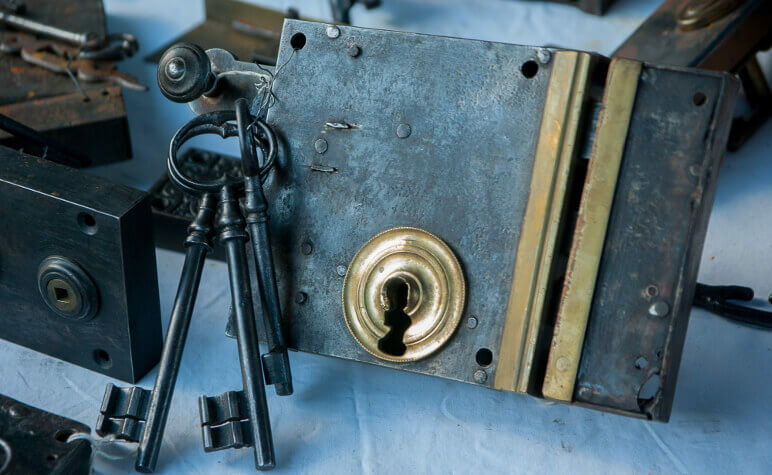 When you call 1Response Locksmith you can feel confident that you are dealing with a trusted professional who will put you and your needs first. A locksmith who has been helping the residents of Miami get into their homes and automobiles for a long time. 1Reponse’s experienced Miami Locksmith’s are available 24 hours a day 7 days a week, for any emergency you may be faced with. Our trucks are fully stocked to ensure we can handle any situation. Our technicians will be dispatched to you no matter where you are no matter what time you need them, at a reasonable price you can afford. Get a fast, accurate & FREE Phone Quote Now. In the past when you locked yourself out of your car it was a simple matter of finding a wire hanger and putting it and your patience to good use. While this is still an option with some older model cars, the technology of the automotive security system has evolved to a level that makes it either impossible or unwise to attempt this tried and true method of gaining entry. With the increased security systems, keyless entry, and anti-high jacking systems existing in today’s automotive industry we are indeed far more confident about parking our cars for a day at the office, a night on the town or at the end of a hard days work. The problem that comes with this greater peace of mind is that when you lock yourself out of your car it is not possible to ‘jimmy’ the lock open without causing significant if not catastrophic car damage. That is why the professional locksmith today has extensive knowledge of these systems as well as specific tools needed to get you on the road again. See our complete Miami-Dade & Broward Service Area Map. Pop A Lock, Car Door Unlocking, Car Key Replacement, Car Key Programming, Car Key Repair, Re-keying locks, Changing Locks, Home Lockouts, Installing Locks (Bio-Metric, Keyless, Front Door, etc. ), Garage Locks, High Security Locks, Lock Repair, Key Replacement, Safe Locks, Broken key removal and repair, and much, much more. For the unexpected emergency or the installation of new locks in your new home look no further, call 1Response Locksmith right away and we will have a knowledgeable and experienced professional there to help you in no time at all. By using state of the art GPS navigation system to dispatch our team we will be able to find you no matter where you are. See a detailed list of Miami Locksmith Services We Provide. For Emergency Lockout service at your Home, Business, or Automobile, call 1 Response Locksmith in Miami FL for Immediate Response! Or tell us about your Locksmith needs. Information on this website may not be re-used without prior consent from 1Response Locksmith.